From the 1st of November 2011 parents of children who were born after the 3rd of January 2011 and before September 2002, who are under eighteen years of age and who do not currently have a Child Trust Fund will be able to invest in a new tax free savings and investment vehicle aimed specifically at children, the Junior ISA. Parents, or anyone with an interest in a child’s future (grandparents, godparents, siblings or even family friends) can contribute provided the total annual investment is not more than £3,720. 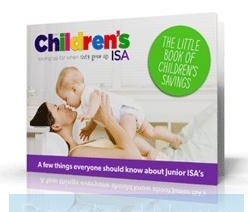 Although children born after the end of the Child Trust Fund but before commencement of the Junior ISA will be eligible, a Junior ISA could not actually be started until the 1st of November 2011, the launch date. Of course, parents could have started putting money aside to open an account. Is There a Minimum Amount Required to Open a Junior ISA? There is no minimum investment level set by Government and it will be up to individual providers to set any minimum limits. If adult ISAs are anything to go by then some providers will insist on an initial investment of £500 or £1,000 whereas many will allow accounts to be opened with as little as £1. This does not necessarily mean that any interest will be paid on small amounts. Some adult ISA accounts, whilst accepting small initial deposits, will only pay interest once the fund reaches a minimum level, say £3,720. Be sure to check the terms and conditions to find the best Junior ISA for your situation. Although anyone with an interest in the child’s future can contribute to a Junior ISA, only the child’s parents, or the person or persons with legal parental responsibility for him or her, can actually open an account. You’ll therefore need to provide the Junior ISA provider with evidence of your entitlement to open the account. Other than this, the process is just like opening an ordinary ISA. Do lots of research on the market and perhaps take some professional financial advice then open an account and make regular contributions. Will I Need to Open a New Junior ISA Each Year? Although you are free to do so, you will not need to open a new Junior ISA each year. Unlike standard ISAs, you can switch both from cash to equities and back again, so that you can maximise your returns depending on the state of the economy at any given time. For example at the time of writing interest rates are at their lowest ever rate of 0.5% therefore equities based ISAs (also know as Investment or Stocks and Shares ISAs) will probably perform better. As interest rates rise you may wish to switch to a cash ISA.